UPDATE (11/06/2018): Proposal 3 passes, modernizing the state’s voting system for the first time since 1975. The ballot initiative amends the state constitution to automatically register voters; allow voters to register at any time, up to and including on Election Day; expand access to absentee ballots; allow for straight-ticket party voting; and ensure those in the military get their ballots with enough time to ensure their vote is counted. Voting should be accessible and secure for all eligible citizens — period. But out-of-date voting systems cause many to face unnecessary barriers when attempting to register and cast their ballot. This is the case in Michigan. Once a national leader in making voting more accessible to citizens, Michigan now lags behind most states. The state hasn’t adopted any substantial voting modernizations since 1975 when Michigan was the first state in the country to allow citizens to register to vote when getting their driver’s license. For instance, while many states allow voters to register up to and on Election Day, Michigan voters must register at least 30 days before Election Day, which is the longest amount of time allowed by federal law. To vote absentee, Michigan voters must provide an excuse, and they can’t vote early. In the past two elections, Michigan voters faced some of the longest lines in the country on Election Day. Additionally, the Department of Justice to file two lawsuits to protect the rights of Michigan military and overseas voters after local election officials failed to send them in time. The good news is a major effort is underway to change this. The ACLU of Michigan, NAACP, and League of Women Voters launched Promote the Vote to pass a voting rights amendment to address the problems and make common-sense updates to the current voting system. The amendment allows citizens to register at any time with proof of residency — up to and including on Election Day. It also provides absentee ballots to all registered voters for any reason, allows straight-ticket party voting, and ensures those in the military get their ballots with enough time to vote, among other things. If passed, the amendment will help protect the right of every eligible citizen to vote. For months, Promote the Vote volunteers have been collecting signatures to place the amendment on the November ballot. And just this week, the coalition took a big step toward accomplishing its goal of expanding voting rights in Michigan. On July 9, the coalition submitted over 430,000 signatures to the state, far more than the 315,654 required for an amendment. Dozens of volunteers helped carry the over 125 boxes of signatures the final steps to the secretary of state’s office. The signatures were collected from all 83 counties in the state and nearly 1,000 volunteers helped in the collection. At the submission ceremony, members of the coalition stressed the importance of the ballot measure. Collecting and submitting 430,000 signatures was a great first step in ensuring that every eligible voter’s voice can be heard at the ballot box, but there is still more work to do between now and November to ensure success. With just a little over 110 days until the November election, the Promote the Vote coalition is turning its focus on educating voters across Michigan on the aspects of the proposal. Working with coalition partners and volunteers, our coalition is beginning efforts to canvass communities, having one-on-one conversations with voters in key parts of the state, and making phone calls to reach voters and urge them to support our measure. On Election Day, we have faith that Michigan voters will take their democratic destiny into their own hands and drag their voting system into the 21st century. A voting system that works for everyone isn’t a radical proposition. 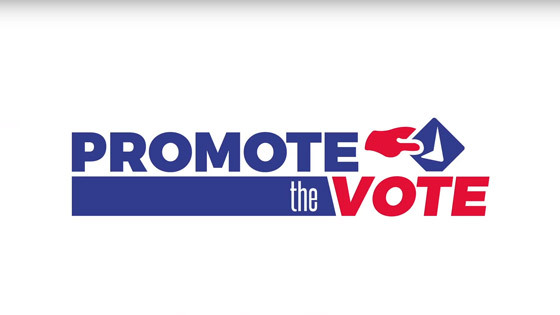 You can help pass the Voting Rights Amendment by joining our effort at Promote the Vote. You should not be too hard fault finding the State of Michigan. Michigan in general and Detroit in particular has been in an economic decline do to all these traitors buying foreign cars. Be American, buy American. If I was Trump the first thing I would tariff would be these rice buggies that don't belong here to begin with. I signed this petition. It seems like common sense. Why are we making it harder for service members, students, those working nights or traveling for work, etc to vote? Make it easier and more accessible. The Most HACKABLE voting systems are the so called "Modern ones"....I prefer an archaic system with backup hand cast ballots to ones a 4 year old can hack into. Bev Harris made a documentary called "Hacking Democracy. Votes were stolen and can be stolen at an alarmingly easy rate.. Please keep what we have. Under the current system, as a MOTHER, I am often unable to vote. Schools are closed and I have my hands 100% full, and polling places aren't safe places for kids to be (or schools wouldn't BE closed, ahem, guns at polling places). I want to vote by mail, but I am not incarcerated or disabled or restricted by my religion, so that's not an option for me. Mostly, I want to VOTE. And since I've lived in Michigan, it hasn't been possible for me to do so. Could you not plan ahead and get a sitter or friend to watch the kids for a couple hours? Find someone else who has kids and take turns watching them so you can both vote? why not introducing paper ballots again ?